Sir Elton John has sadly announced that his mother, Sheila Farebrother, passed away early Monday morning. The two had a troubled relationship but had reconciled before her passing. Their relationship had been so distant they hadn’t spoken for approximately nine years but were able to repair the damage and make use of the precious time they had left. Elton shared a picture with his mum on Twitter where the two were smiling and in good spirits. He released the following public statement on Twitter, as fans came forward to offer their condolences and sympathy. According to reports, Sheila Farebrother was 90-years-old when Elton reunited with her. Fans and celebrities offered their condolences including singer and actress Betty Buckley who offered her condolences. Singer and guitarist Nancy Wilson from the rock band Heart also shared her condolences and let Sir Elton John now that she was praying with the following message. Many fans offered their sympathy and pointed out how wonderful it was that they had reconciled. They also encouraged Sir Elton to take comfort with his family including husband David Furnish and the couple’s two children. Some fans responded with prayers, quotes, messages of hope and love and little graphics of hearts. Others sent pictures of angels and heavenly scenes. All reminded Elton how special a mother’s love is and suggested he not cry for what he’s lost but smile for the special times he has had with her. In February 2016, the Daily Mail wrote about Elton’s and Sheila’s reconciliation and stated it was Elton who made the first move. When she celebrated her 90th birthday, Elton John took the first step and broke the ice by sending her an exquisite bouquet of white orchids. White orchids signify humility, elegance, and beauty as well as reverence. For flower choices, white orchids were a splendid selection. Elton included the following note with the floral bouquet. 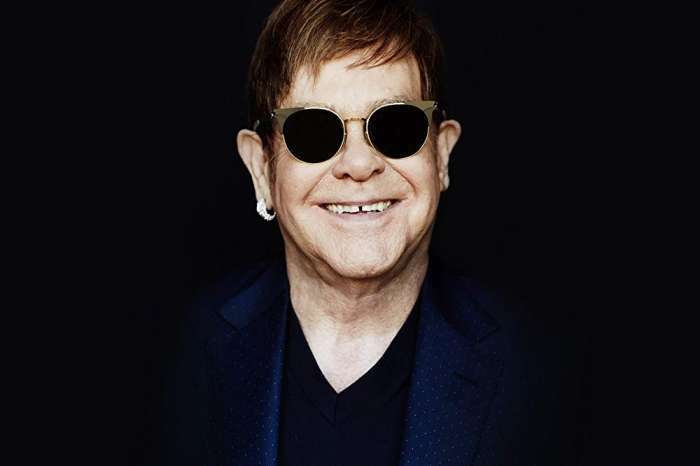 Elton confirmed that he and his mother were still in touch as he said he had only seen her last Monday. He described himself as being in shock at the news of her death. Our hearts and condolences go out to Elton John and his family at this difficult time. Kylie Jenner Is 'Anxious' To Post Scandalous Pics On Social Media Again After Welcoming First Baby!